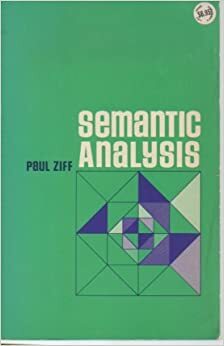 In Paul Ziff’s Semantic Analysis, he argues that the meaning of an utterance is not simply the physical situation to which it refers. Meaning includes connotation. “The glass is half full” refers to the exact same situation as “The glass is half empty”, because a glass that is half full is by necessity a glass that is half empty, but they do not mean the same thing, as the connotation is different for each. The first is optimistic, indicating that one still has more, while the second is pessimistic, indicating that now one has less. One would say, “Fill the glass half full”, but not, “Fill the glass half empty”. I am truly grateful to the owner of this web page who has shared this wonderful post at at this place.